Isla Mujeres does not lack for dining opportunities, most of which line the nearby pedestrian boulevard, Hidalgo Street and sidestreets. All over the island there are options and cuisines to keep everyone in your party happy. Locals tend to eat outside of El Centro where the prices will tend to be lower. 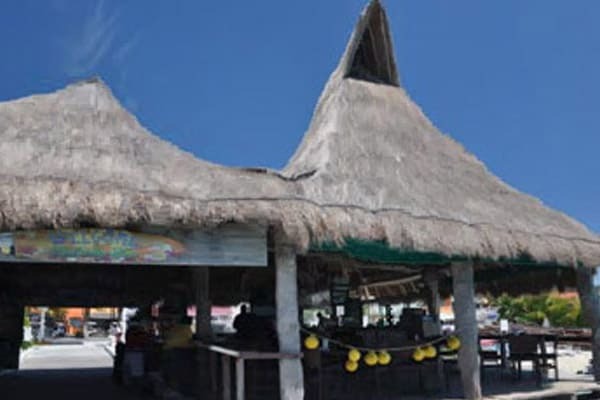 Beach restaurants are also plentiful, with options near the ferry terminal being more lively while those on Playa Norte and other beaches featuring a more relaxed atmosphere. Fish is fresh and bountiful, and dishes like ceviche are popular and delicious. A signature island dish is Tik-n-chik, which is a whole fish marinated in achiote and grilled. Dining options include everything from an exquisite lobster dinner to a slice of pizza. Some of the best food on the island comes from carts: taco stands and vendors selling corn on the cob and tamales in the town square. A complimentary condimental breakfast is served daily in the social lounge just off the lobby. Here you’ll be treated to fresh baked goods, cereals, juices and the all important fresh brewed coffee. 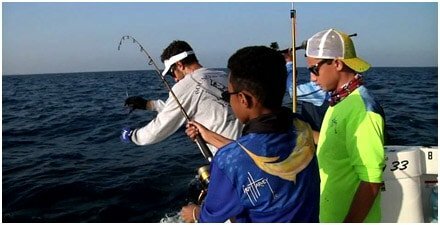 If you have an early sportfishing departure, the staff will be sure to have the lounge open extra early! No, its not one of those swim up bars, but you’ll have just as much fun, and we won’t let you go thirsty. Our pool literally disappears into the sand and ocean beyond, so we didn’t want to block any of those views. You’ll find our pool bar within a long reach of the pool. Weather permitting, its open most days and into the evenings. It’s a small island with a big appetite! You’ll find every imaginable cuisine on Isla, and most of the chefs practice their trade in El Centro, just outside the hotel’s front door. If you’re a fast food chain customer, the closest thing you find is the local “7-11” across from the ferry dock. 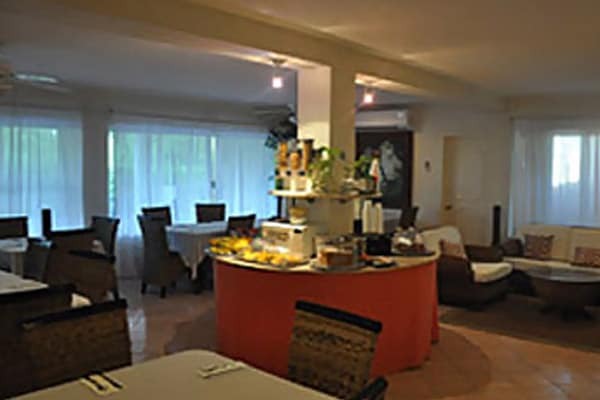 Otherwise, there’s everything from some of the best Yucatan styled Mexican cuisine and fresh seafood to pizza. We don’t profess to be “Foodies” but you’ll find some truly special and memorable restaurants, and plenty of lively “joints” with menus to satisfy the largest of parties. 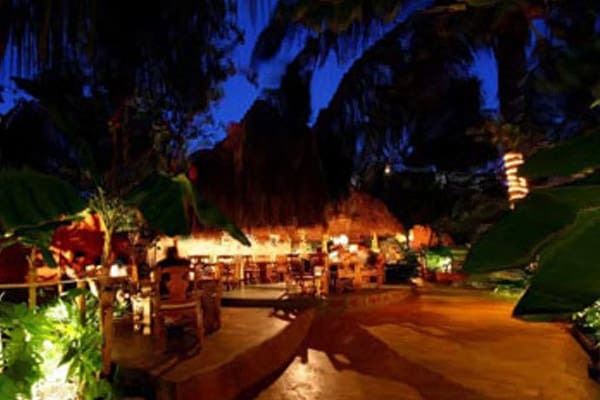 The best Isla dining guide is simply a stroll along Hildago, with its many bars and restaurants. For some other ideas and suggestions, check out the following Isla restaurant review sites: TripAdvisor, HollyEats, Fodor’s, and Frommer’s . A go-to destination for breakfast, lunch and dinner, offering great food and drinks overlooking the water. Its halfway from Hotel Playa Media Luna to the dock, and with its huge second floor outdoor deck, its one of the most popular spots to meet for sunset. Considered by most as the best sports bar in town, this is where you get that Cheeseburger in Paradise. It’s the kind of place that really makes you think of tossing it all and heading down island to open a restaurant and bar. Be careful! 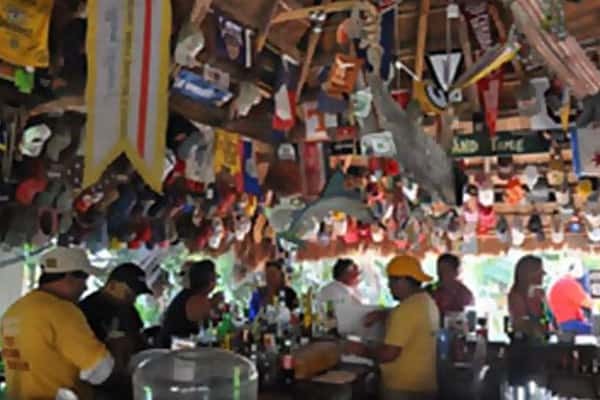 Maybe the best “tiki” bar on the island! It’s just outside of El Centro, on the drive toward the south end. Part B&B and all fun. On Sunday afternoons, its BBQ ribs and most of the islanders ends up here, and some of them, sooner or later in the pool! Don’t be taken back by the entrance..yes, all the fun is at the end of the alley! Be sure to check out their T-Shirts…we wear ours back home! It funky and fun, just like Isla itself. On Ave. Matamoros, two blocks off Hildago towards the ferry dock, you’ll find an Aegean oasis with award wining Mediterranean cuisine. Everything served at Olivia is homemade “from scratch” daily, from the delicious selections of freshly baked bread to the unique spices and seasonings used to flavor the freshest produce, fish and meats. Our last night in town is always reserved for this truly special dining experience. One end of the dock is the sportfishing fleet, including our very own Keen M charter fleet. 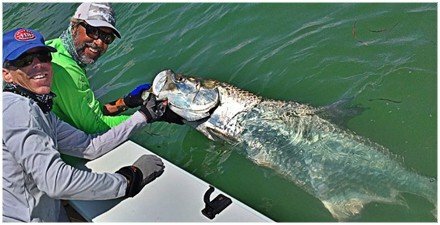 At the other end is the textbook definition of a fish shack, with unquestionably the freshest seafood, coldest cerveza and the island’s best margaritas. This is Bally Hoo, and we guarantee it, this is where you’ll spend a good part of your Isla vacation. The restaurant and bar overlooks the harbor and its some of the best sightseeing to be had, especially at sunset with its panoramic views. 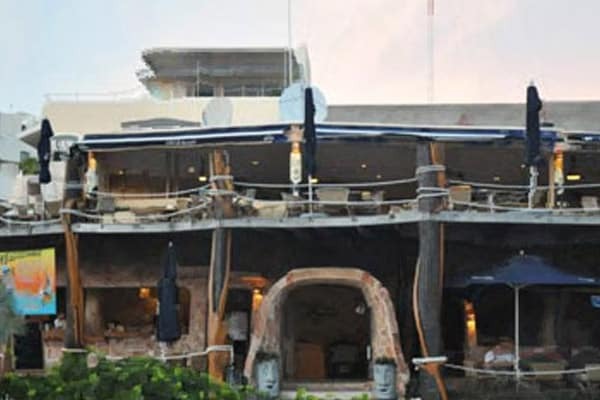 On the southwest end of the island, looking across the azure blue bay towards Cancun, you’ll find one of our favorite beach restaurants, Zama. 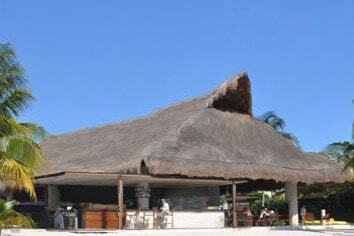 Dine under the massive palapa sitting aside an endless stretch of powder white sand. The chef features the best in Mexican contemporary cuisine, including Lionfish Tiradito, one of their best sellers. 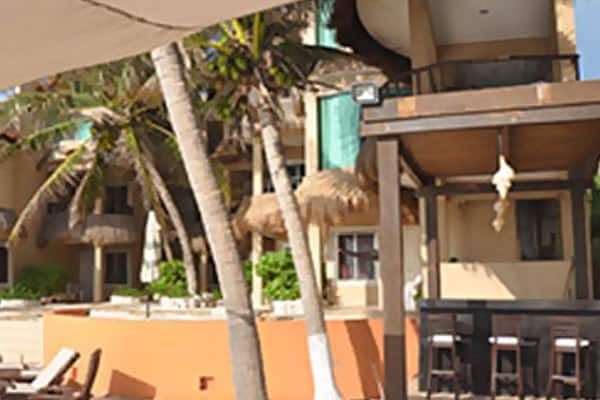 Next to the palapa is a stunning pool deck with a series of pools that cascade down to the beach and collection of enticing day beds. A bit of Isla chic, where South Beach meets fishing village. So many bars, so little time. And the good news is they’re mostly on the north end of the island. You won’t find any of the big disco nightclubs popular in Cancun, but you’ll have no lack of choices to enjoy Isla after hours. Here on Isla, you’ll find a range of experiences, from cafes to clubs with live music. A lot of Texans have settled in Isla so don’t be surprised to hear the latest in progressive country. You might find a jazz group one night, and enjoy an aspiring Jimmy Buffet the next. And as the days go by, don’t be surprised if you come to conclude the best nightlife is simply a quite nightcap listening to the gentle surf and wind in the palm trees.